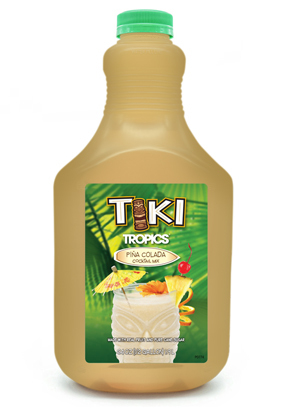 The natural sweetness of Tiki Tropics Piña Colada Mix comes from creamy coconut milk, sweet pineapple and cane sugar – never high fructose corn syrup. It’s a simple ingredient choice that makes this shelf stable mixer as tasty as it is convenient. Cane Sugar, Filtered Water, Cream of Coconut (Sugar, Coconut Milk, Water, Xanthan Gum, Polysorbate 60, Salt, Sorbitan Monostearate, Sodium Alginate, Citric Acid, Carrageenan Gum, Mono Diglycerides), Pineapple Juice from Concentrate, Xanthan Gum, Natural Flavors, Citric Acid, Acacia Gum, Salt. 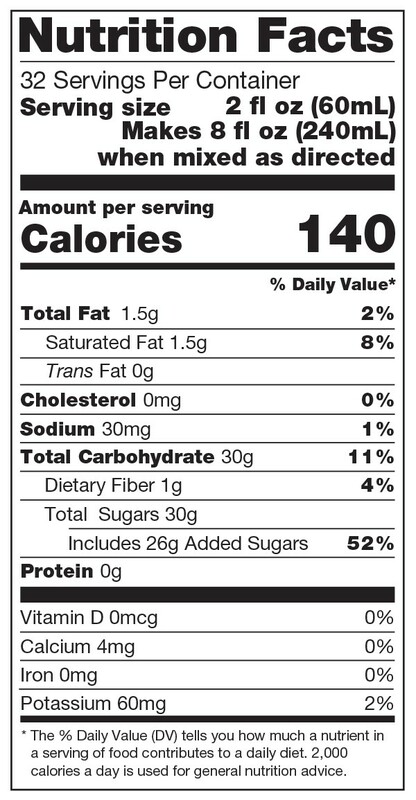 Preserved with Less than 1/10 of 1% Potassium Sorbate & Sodium Benzoate.